Madrid DIY rock and rollers Hinds will play Liverpool’s Arts Club Theatre in November, Getintothis’ Lewis Ridley with the exclusive. Hinds will play Liverpool’s Arts Club theatre later this year as part of their tour of the UK and Europe. 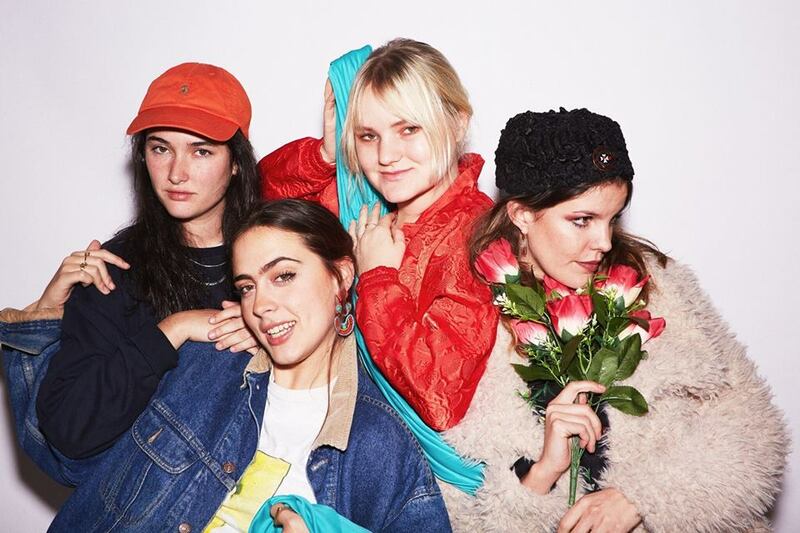 With 17 shows in the UK this will be the band’s longest and largest UK tour to-date, and it will include a special one day Hinds curated mini-festival at London’s 1,500 capactiy Hackney Arts Centre on Saturday, December 1. The four piece will come to the city courtesy of EVOL in the wake of their second album, I Don’t Run, released earlier this year. Getintothis was witness to their set at Primavera Sound, where in uproarious style they teased all sprightly riffs and fizzing melodies in the Barcelona heat. They’re back in the UK this weekend playing the Leeds and Reading Festival. It’ll be slightly cooler on the Merseyside winter night when Ana Perrote (vocals, guitar), Carlotte Cosials (vocals, guitar), Ade Martin (bass) and Amber Grimbergen (drums) plug in.